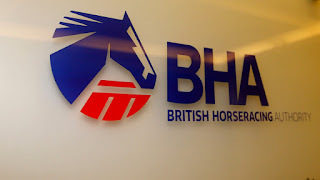 Yesterday (06/02) the BHA made the decision to cancel all horse racing in Britain (Huntingdon, Doncaster, Ffos Las and Chelmsford) because of equine influenza. No word as yet on whether racing will continue tomorrow or whether racing will be run over the weekend. A very worrying time for British horse racing. Breaking news: The British Horseracing Authority has this afternoon taken the decision that racing will not resume in Britain until Wednesday 13 February at the earliest.